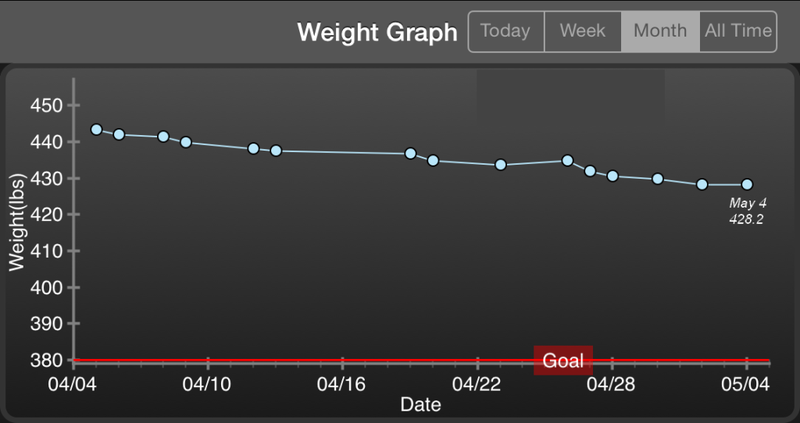 Fitness Challenge Day 33 – Sunday Weigh In: The 420s! Last Sunday I did my “official” morning weigh in and came in at 434.6 pounds. I weighed in yesterday morning at 428.2, so I lost 6.4 pounds over the past week and am down 21.8 pounds since I began my journey on April 1. The first Sunday of every month is Fast Sunday for church, so we fasted this morning as we went to church. 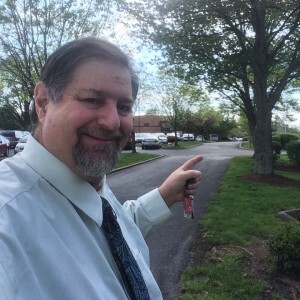 I have decided to always park far away and walk, about 100 yards. I did so again yesterday. I love the nice cool spring mornings. It was still in the 50s so it made for a nice walk, even though it was only about 100 yards away. Of course, after church meant walking back to the car. After church we went home and made a wonderful “Bountiful Baskets” lunch including grilled potatoes, baked carrots (the multicolored kind! ), broccoli and corn on the cob with avocado instead of butter. 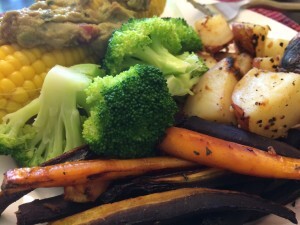 It was a great lunch…definitely PlantPure Nation style!! The tamales turned out great! 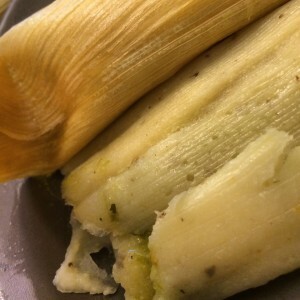 We made straight green chile tamales…no meat. Once again, completely Bountiful Baskets fare. Of course, good masa requires lard and we believe that there was lard in our masa, so not completely “plant-based,” but we did the best we could. They came out amazing and it is exciting to a few leftovers, which we may have for dinner tonight. 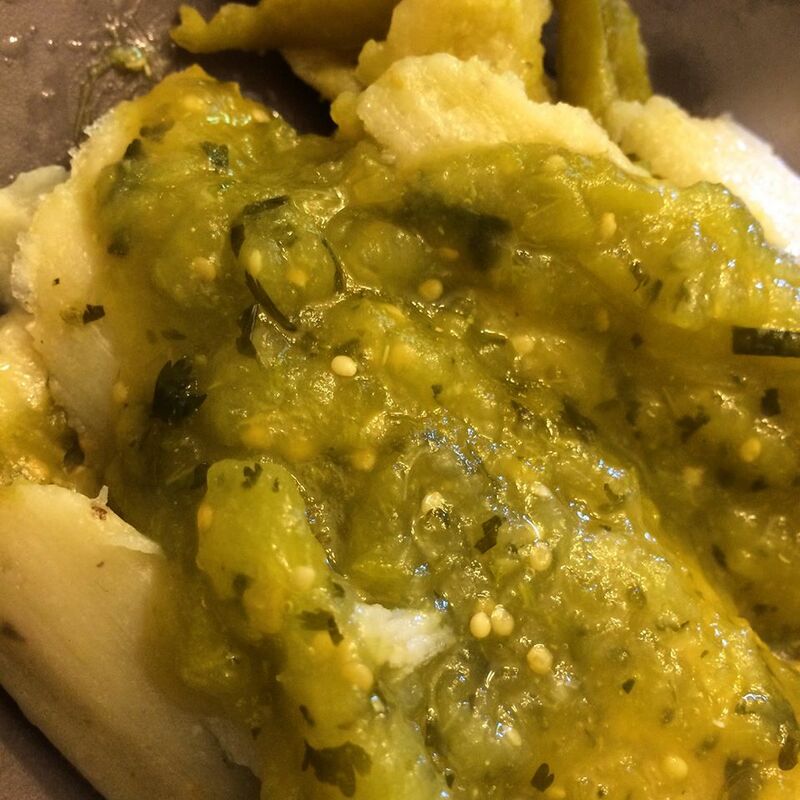 There is nothing like these yummy tamales slathered in homemade green salsa. Knees were still painful so I rested them again. I will definitely be walking on Monday evening. Registration fees for the Great American Fitness Challenge go up on May 8. If you plan on joining Team Sumoflam and participating in one of the events, register soon for the best rates. A few of you, my Lexington family and friends, have said you would come join me, but only one has registered so far. To remind you, it will be held at the beautiful Kentucky Horse Park and features a 5K, a 15K, an Open Steeplechase and an Elite Steeplechase. You can register by clicking the link below. Anyone that participates on Team Sumoflam will get a specially designed t-shirt with artwork by singer/songwriter/artist Antsy McClain.